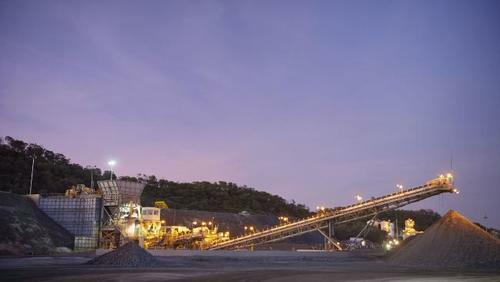 GLENCORE has begun hiring for a raft of new positions as preparations to reopen its Lady Loretta mine ramp up. The restart will create 250 jobs, bringing with it additional opportunities for local supply of goods and services and community investment. Redpath Australia has been awarded a contract to operate Lady Loretta for its remaining five-year mine life. The company is advertising 46 types of jobs, including project and geotech engineers, maintenance managers, shift supervisors, paramedics, ROM operators, diesel fitters, mechanics, boilermakers, shotcreters, service crews and nippers. “We will continue to responsibly manage production of the high-quality Lady Loretta resource,” he said. “Ore mined at Lady Loretta will be processed at our Mount Isa facility and exported to customers all over the world via the Port of Townsville,” Mr Reid said. The closure of the zinc mine was announced in October 2015 after prices for the commodity tumbled. But the price has since recovered and the industry continues to show strong signs of a major revival. The mine, near Gunpowder about 110km northwest of Mount Isa, is expected to resume operations in the first half of this year. Job opportunities will target locally based people where possible, the company said. An investor update released by Glencore said the company was predicting an increase of 195kt for zinc in the 2018-20 period which “reflects anticipated restart of Lady Loretta”. Townsville Enterprise policy and investment director Michael McMillan said the reopening was a positive sign for Townsville and the North. He said Glencore had stated it would prioritise local employment in a catchment area around Mt Isa and North Queensland generally. “There are specific skills that they’re looking for and that will be in the Mount Isa, Townsville and North Queensland area,” he said. This article was originally written for Townsville Bulletin and can be read here.